October 5, 1997 – Badd Blood: Shawn Michaels defeated The Undertaker. The famous debut of this classic match. Possibly the greatest. This match marked the debut of Kane, costing his brother, The Undertaker, a victory catapulting underdog Shawn Michaels to victory. This is often the match the wrestler’s try to live up to while preparing to enter a vicious Hell in the Cell competition. June 15, 1998 – RAW: Steve Austin and Undertaker vs Mankind and Kane went to a No Contest. June 28, 1998 – King of the Ring: The Undertaker defeated Mankind. Hands down the most memorable Cell Match. Mankind (Mick Foley was tossed off the top of the cage, taken away from the ring on a stretcher and returned to climb the cage and get chokeslamed THROUGH the roof, and THEN again chokeslamed onto a pile of thumbtacks before getting pinned. August 24, 1998 – RAW: Mankind vs Kane went to a No Contest. March 28, 1999 – Wrestlemania 15: The Undertaker defeated The Big Bossman. The least memorable Cell match, often conveniently overlooked when discussing the legacy of the Cell. September 26, 1999 – Unforgiven: Al Snow defeated The Big Bossman. One of the worst booked matches in Federation history. There was a regular steel cage attached to the ring, and a Cell placed outside the ring. Between the cages were a pack of ‘rabid’ dogs ready to “tear a wrestler apart”. Except the dogs (who were each leashed to a Trainer) didn’t really want to co-operate. February 27, 2000 – No Way Out: Triple H defeated Mick Foley. Billed as Foley’s retirement match. With the exception of one more Wrestlemania match, it was Foley’s last match (for a few years at least). Falling off the cage again and also going through the top of the cage again, this time in a safer manner. December 10, 2000 – Armageddon: Kurt Angle beat the odds, defeating megastars Triple H, Steve Austin, The Rock, The Undertaker and Rikishi. This would be Kurt Angle’s first major title defense since beating The Rock a month earlier. The highlight of the match was Undertaker pushing Rikishi off the top of the cage into the flatbed of a truck. Just like in previous Cell matches, there was lots of blood, just more heads for it to flow from! Kurt Angle escaped with perhaps the biggest underdog victory the Federation had ever seen. May 21, 2002 – Judgement Day: Triple H defeated Chris Jericho in a brutal and bloody battle inside the unforgiving Cell. Not even referee Tim White was immune from the wrath of the Cell, getting busted open when Jericho through him into the cage, separating his shoulder in the process. After some tense top-of-the-cell back-and-forth action, Triple H nailed a pedigree on the roof which secure the win for the Game! October 20, 2002 – No Mercy: Brock Lesnar took on Undertaker in a bloody Hell in a Cell match where both wrestlers AND Paul Heyman were busted open, especially Undertaker who was gushing crimson red. Brock actually defeated the Undertaker in the end and climbed to the top of the cage raising the Undisputed Championship above his head to prove his dominance! 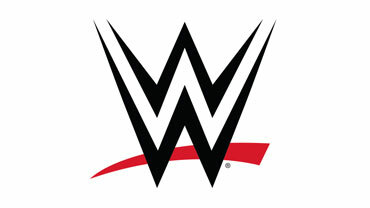 There were no big bump as in past Cell matches, however, the wrestlers managed to pull of an entertaining performance. June 15, 2003 – Bad Blood: Triple H managed to pin his former best friend, Kevin Nash, despite special guest referee Mick Foley’s hopes of getting Triple H to drop the title. This was perhaps the worst Hell in the Cell match of all time (due mostly to Kevin Nash); of course, Triple H needed help from Ric Flair, Randy Orton and his long time tag team partner, the sledgehammer, to retain his worthless World Heavyweight title. June 13, 2004 – Bad Blood: Triple H defeated Shawn Michaels in a hellacious 50 minute battle which saw a temporary conclusion to their long running feud. June 26 , 2005 – Vengeance: Batista defeated Triple H to retain the World Heavyweight title. Perhaps the best thing to come out of this was that Triple H took a few months off after this match! December 18 , 2005 – Armageddon: The Undertaker defeated Randy Orton. September 17, 2006 – Unforgiven: Degeneration-X (Triple H and Shawn Michaels) defeated Vince and Shane McMahon and The Big Show. November 18, 2007 – Survivor Series: Batista defeated The Undertaker to retain the World Heavyweight title. August 17, 2008 – SummerSlam: The Undertaker defeated Edge in an incredible Hell in a Cell match in Indianapolis, Indiana. After the match; The Undertaker choke-slammed Edge off of a ladder through the ring – sending him “straight to hell”. October 4, 2009 – Hell in a Cell PPV: The Undertaker defeated C.M. Punk to win the World Heavyweight title! October 4, 2009 – Hell in a Cell PPV: Randy Orton defeated John Cena to win the WWE Championship! October 3, 2010 – Hell in a Cell PPV: WWE champion Randy Orton defeated “The Celtic Warrior” Sheamus to retain the title. October 3, 2010 – Hell in a Cell PPV: WWE world heavyweight champion Kane defeated The Undertaker to retain the title. After the match: Manager Paul Bearer turned on the Undertaker, shining a light in his eyes, and helping his son Kane successfully defend his title! September 26, 2011 – RAW: WWE champion John Cena defeated Alberto Del Rio, C.M. Punk, Dolph Ziggler, and Jack Swagger in a 5-man match to retain the title (dark match). October 2, 2011 – Hell in a Cell PPV: WWE world heavyweight champion Mark Henry defeated Randy Orton to retain the title. October 2, 2011 – Hell in a Cell PPV: Alberto Del Rio defeated WWE champion John Cena and C.M. Punk in a triple threat match to win the title. October 28, 2012 – Hell in a Cell PPV: WWE champion C.M. Punk defeated Ryback to retain the title. 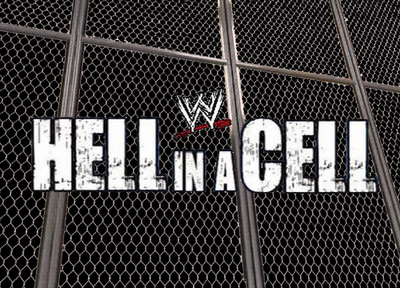 October 27, 2013 – Hell in a Cell PPV: C.M. Punk defeated Ryback and Paul Heyman in a “2-on-1” handicap match. October 27, 2013 – Hell in a Cell PPV: Randy Orton defeated Daniel Bryan to win the vacant WWE championship.